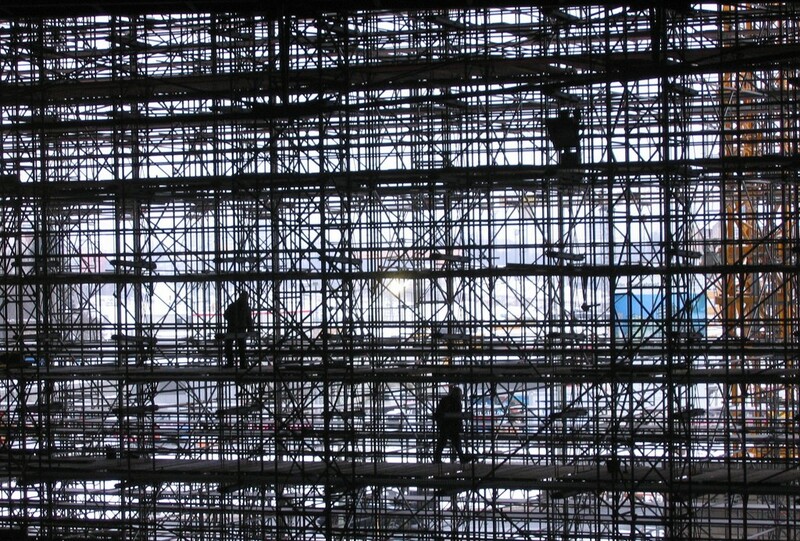 Advanced Scaffolding covers the scope of work required to erect, alter and dismantle scaffolding at the Advanced level. Scaffolding consists of all intermediate scaffolding work including all other scaffolding work connected with the use and operation of Hung scaffolds and Suspended scaffolds for licensing purposes. Participants must be over 18 years of age. NOTE: This unit has a pre-requisite requirement. This requirement may be met by either the successful completion of the unit CPCCLSF3001A Licence to erect, alter and dismantle scaffolding intermediate level, or holding a valid licence for intermediate scaffolding. Delivered via to face-to-face training at our training centre in Tullamarine, VIC – or on your site Australia-wide (if suitable). This unit specifies the outcomes required to erect, alter and dismantle scaffolding at the Advanced level including Hung and Suspended scaffolds from chains, tubes or wire ropes, and Swing Stages. Communication and working safely with others in the work area. Risk assessment and management procedure at an advanced scaffolder level. Planning, erection and dismantling of a scaffolding system, in accordance with procedures, including a minimum of erect and dismantle of a hung scaffold and a suspended scaffold. Conduct compliance inspections of scaffold and scaffold equipment for advanced scaffolding. Hung Scaffold means a scaffold that is hung from another structure and that is not capable of being raised or lowered when in use. Suspended scaffold means a scaffold incorporating a suspended platform that is capable of being raised or lowered when in use.